Autumn has officially begun! The leaves are changing, the temperature is cooling down, and our weekends may be filled with football. While fall is a fun and exciting time of the year it won’t be long before it is over. That’s right, the winter season is right around the corner. If you live in the Midwest, you know that winters can be unpredictable. Without warning, a random foot of snow can easily ruin your plans by making you stay inside due to the tundra-like conditions. As winter creeps closer, homeowners will begin preparing their home to withstand the cold, snow, and wind that accompanies the lengthy season. While homeowners spend all this time and money getting their homes ready for the upcoming cold, they often forget to get their garages ready, too. Yes, you read that right. Maybe you have never heard of getting your garage ready for winter, but the truth is, this space needs as much care as the rest of your home and property. While most homeowners don’t spend their spare time in their garage, especially in the winter, there are several things you can do to make your garage a more comfortable space and ensure that it is in great condition when Spring arrives.Check out a few tips for getting your garage ready for winter. Unless you really know what you’re doing, you should only perform a visual evaluation of your garage door and opener. The adjustment of springs, repair, and the replacement of a garage should be left to a professional garage door service. Keeping outside air out of your garage is important, especially during the winter. If you have an older garage, there is a good chance there is nothing stopping the cold air from getting in. And, if you have an attached garage, the cold air could be constantly altering the temperature of your home, causing energy bills to skyrocket. Before the cold arrives, be sure to check your garage door’s seals to ensure there are no tears or other signs of damage. If they aren’t already, consider weather-stripping and caulking the windows and entry doors within your garage. You can also replace your old garage door with a new, insulated one. An insulated garage door will help create a more comfortable and energy efficient garage. Insulation will keep the warm air from escaping, and the cool air from entering. These doors also offer quieter operation as well as increased durability. As we mentioned, winters are unpredictable and can bring unplanned accidents. A harsh winter can cause snow and ice to build up outside of your garage, and when the snow or ice melts, the water could end up entering your garage causing a flood. To be safe, you can waterproof the floor of your garage. While waterproofing won’t stop floods from happening, it will help mitigate some of the damages caused. Plus, when the snow and ice on your car melts in the garage, you can rest assured knowing it won’t cause any damages. While an insulated door will help keep the heat in and the cold air out, if you really want to keep warm from the frosty Midwest winter, you may want to consider adding a heater to your garage. If you solely use your garage for vehicle and clutter storage, then heating might not be a worthwhile investment. However, if you use your garage as a family space, workout room, or man cave a heater might be a nice addition as it will maintain a comfortable and stable temperature. If you live in Indianapolis or the surrounding areas, you know that our winters are not very pleasant. Be sure you start getting your home and garage ready for the cold. 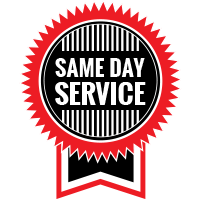 If you want to schedule garage door maintenance, contact the professionals at Garage Door Doctor. 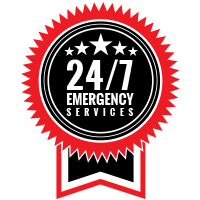 Our team specializes in the repair, installation, and maintenance of residential and commercial garage doors. We also carry and install reliable, insulated garage doors that will help keep your garage warm this winter season. For more information, or to receive a free consultation, contact Garage Door Doctor today!